Philippine companies should think of doing this. 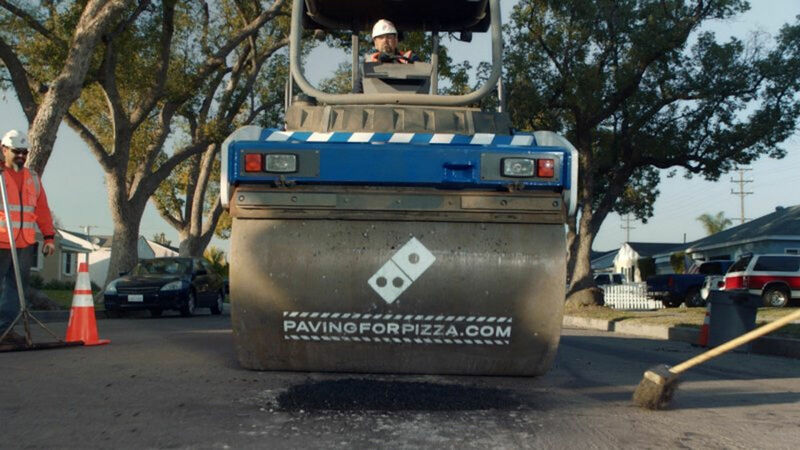 In the US, Domino’s Pizza got so fed up with the bad state of roads that they’ve taken matters into their own hands. Currently, Domino’s has filled over 40 potholes in just 10 hours in one city alone. They’ve also expanded their road fixing efforts to cover parts of Texas, Delaware, Georgia, and California. Naturally, these patches are then plastered with Domino’s branding reminding people that it’s a private company and not the government responsible for these fixes. Paging Jollibee…I think some of our ChickenJoy got banged up also on our way home. Perhaps it’s time you take over the DPWH’s work and pave those potholes on EDSA or C5. Pretty please? I think this does more good than simply painting pedestrian crossing to look like French Fries. Those government employees who's responsible for our roads should be de-boned and skinned then mixed-in with the concrete/asphalt before laying it on those potholes!